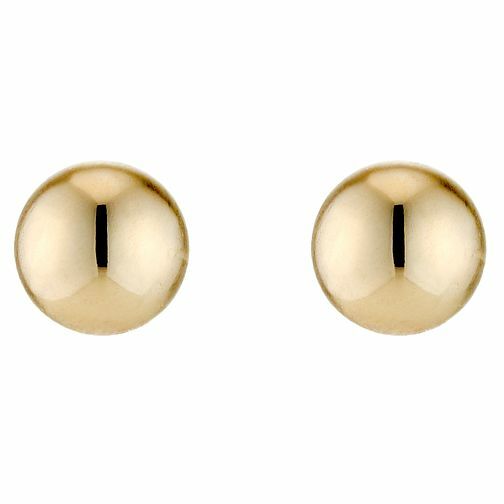 These 9ct gold ball stud earrings are a classic that every girl should own. With a diameter of 4mm, they're simple, elegant and totally timeless. 9ct Gold Stud Earrings is rated 4.0 out of 5 by 7. Rated 1 out of 5 by Anonymous from Earrings Poor butterfly clip backs and poor work on the part that goes through the ear meaning the clips had nothing to grip to. Very disappointed. As earnings I can can’t return. Rated 5 out of 5 by Anonymous from Ear studs 4m,is just right for me, good value for money.i am happy with them.